This is the place of find forms, rules, and judging guidelines as well as additional help with competition resources. The American Border Collie Association also has helpful information. You can go to the ABCA site by clicking the logo below. 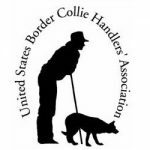 The American Border Collie Association is our partner and a primary sponsor of the USBCHA National Sheepdog and Cattledog Finals.